Home News Bulgarian influencers – why are they golden? Influencer marketing is a rapidly growing segment of marketing. That is not a deniable fact. But what if we only know the numbers (followers, likes etc.) of an influencer and not the real opinions of him or her? With social listening it is not a question anymore: Neticle’s online media analysis tool can tell you if your brand is safe with the chosen influencer and his/her image is in harmony with the brand’s. 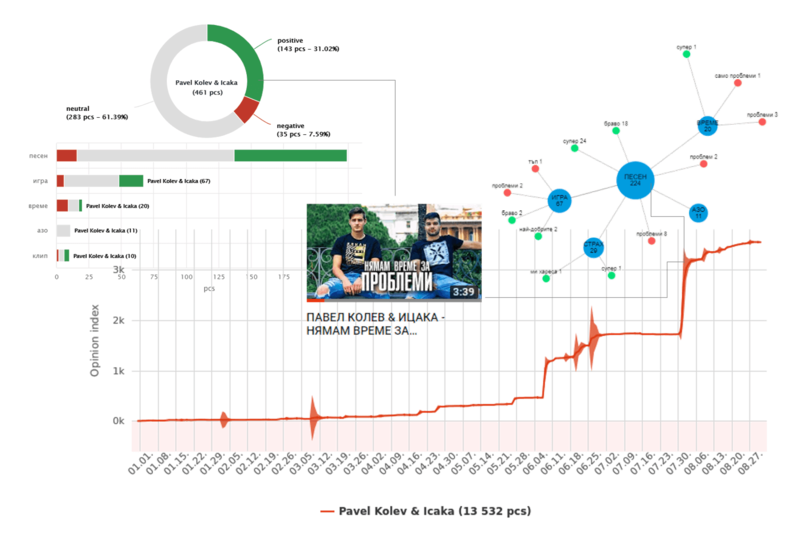 To show you some insights about the Bulgarian influencer market, Neticle examined the top 6 Bulgarian influencers, namely Pavel Kolev & Icaka, inStanT, Lazar Angelov, Alex & Dani Petkanovi and Bodil40. They monitored all social media platforms (Facebook, YouTube, forums, Twitter, Google+, Tumblr), articles and comments between 01.01.2018 and 31.08.2018. Why do we admire them? Admiration – the most common feeling connected to the influencers. Are you surprised, right? Well according to Neticle’s analysis, the strongest and most common emotion in the comments and mentions is admiration – towards the examined influencers, the videos or the contents he/she made. Knowing the emotions an influencer can raise is a game-changing insight: if it is in harmony with the image a brand wants to share then this is a good base for finding the right influencer to your brand. Next we highlighted some of the main characteristics and learning points about the most famous influencers of Bulgaria. According to Neticle’s analysis, this YouTuber is the most loveable among the other examined. As the share of mentions chart (below) shows, he barely got negative feedbacks or comments, his community is really committed. All of his videos got a lot of attention and feedbacks as the number of mentions chart shows –another proof of his loyal community. Lazar Angelov is a Bulgarian but also a world-famous bodybuilder. As an influencer he is best known for his super popular Facebook posts. As Neticle analyzed them, it became clear that several posts’ topics generated way more comments than others. You can see them highlighted on the Number of mentions chart below. When a content is funny (as the first one), cute (as the second one) or somehow touching (as the third and fourth one), the comments start to flow. Users mostly tag their friends under these posts or tell stories connected to them. These guys made their name on YouTube as film & entertainment video makers. Their subscriber community is growing rapidly thus we had to dig deeper to find out their secret. 1,7 million viewers more than 7700 comments and this is just one of their videos – but the most popular one. They made a song and a videoclip and it got very positive feedbacks. 31% of the comments were positive and said that the song is the ’song of the year’ and they just can not stop listening to that. As you can see on the mention flow chart below, this video caused the highest peak with the most mentions and most positive comments. Besides these impressive numbers, they worked together with two brands on this video, namely with auto.bg and Fanta. Alex i Dani Petkanovi – asking for advices is a key engagement generator? Asking for help is always a jolly joker, this is just what Alex & Dani Petkanovi did in their video: ВЪПРОС ?! Помагайте…Their most popular video is about Alex’s hair loss story and her asking for advices from their subscribers. This story generated 176 comments but the most interesting part is that users recommended several brands. Neticle could list them and the context they were mentioned. The most mentioned brands were: Garnier and within it, Garnier Fructis, which was followed by Oriflame and Vichy. Accordingly, it is important for brands to constantly observe mentions about them and learn from the honest impressions. This way market and – more importantly – consumer research can be done a way more easier and budget friendly way. Bodil40 – a Bulgarian YouTuber has to make Bulgarian content? In contrast with inStanT, Bodil40 did not get as much attention as the funny & entertaining YouTuber. Although we have to mention, that Bodil40 is a gamer YouTuber thus his topic is more concentrated than inStanT’s. Most of his comments mention his followers want his videos to be in Bulgarian instead of English. 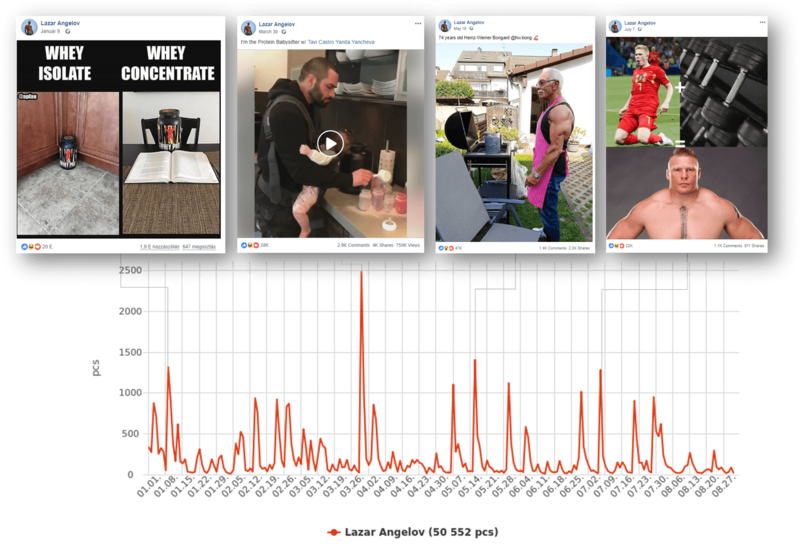 As Neticle examined influencers in several areas (bodybuilding, gaming, entertainment, lifestyle) it turned out to be the key takeaway that besides numbers, it is not negligible to analyze their community’s engagement, profile so that branded contents can reach the right way (as a video clip) the right audience.